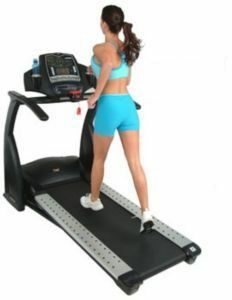 The Smooth EVO 3i treadmill is manufactured by Smooth which also makes the EVO treadmills. Smooth Fitness has been making top quality fitness equipment since 1984 and brought in the EVO treadmill brand to market to high end users. The Smooth EVO 3i is rated for “light commercial use” and can be found in small private health clubs as well as home gyms. UPDATE: The Smooth EVO 3i has been discontinued. Check out our list of best treadmills under $1000 for a comparable model. Experts are amazed at how quiet the Smooth EVO 3i treadmill is. Under the hood, it’s got a commercial quality circuit board loaded with advanced Pulse Width Modulation (PWM). Working with the PWM are optical speed sensors that give incredibly smooth speed changes and the large 2.5” crowned rollers (with double ball bearings) give the belt and deck long life. The Smooth EVO 3i is just about the quietest treadmill you’ll ever run on. Owners love this beefy treadmill. In it they’ve found a club-quality machine for under $3500 that offers the snazzy features, stability, durability, warranty and quality components that they’ve been looking for. If there are any major issues with the Smooth EVO 3i is that it weighs 316 lbs! At that weight you’ll want to pay for any additional in-home delivery and set up. 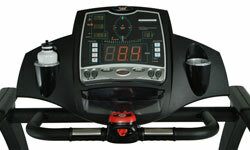 The Smooth EVO 3i offers an amazing variety of workout programs. Just as an example, you can choose a ‘40-Minute Jog’ which will gradually increase speed from 2.5 mph to 6.3 mph and allows you to adjust the treadmill incline yourself to get your body sweating. Or choose a ‘60-Minute Walk’ that will take you up to a brisk 5.0 mph pace for cardiovascular training, your progress displayed on the 1/4-mile track. We found the Smooth EVO 3i treadmill to be a very solid, quiet running and comfortable machine, well worth the asking price. Highly recommended.